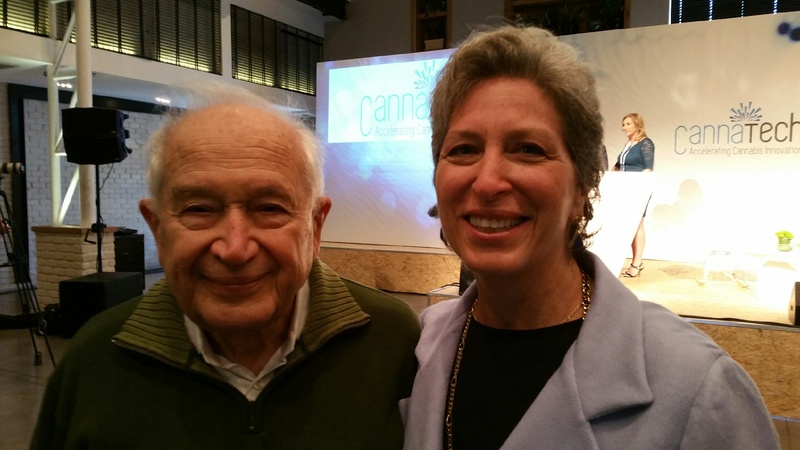 Sarara Corva (shown here with Prof. Mechoulam) is an acclaimed Cannabis educator, advocate and entrepreneur committed to teaching both patients and health care practitioners how to use “marijuana” as medicine. For nearly a decade, Sarara has counseled medical professionals, patients and industry leaders on the benefits of medicinal Cannabis, providing a valuable framework for Arizona’s burgeoning medical Cannabis community. In 2012, Sarara established CANNAhealNOW, an educational platform offering information and empowerment to individuals using Cannabis as part of an integrative approach to wellness. Sarara is co-organizer of the Marijuana for Medical Professionals conference, a CME certified educational event that presents doctors and other medical professionals with the latest scientific research on medicinal uses of Cannabis as well as guidelines for supporting patients. In addition to her advocacy, Sarara is also President of UNDOO® LLC, a start-up health and wellness company, which has developed an innovative, patented formula that supports the body’s natural ability to counteract the psychotropic effects of THC-rich Cannabis.